In order to get under the skin of how Riesling is changing in the major wine regions of Germany, Christina Rasmussen spent a week in the summer visiting some of the major players in the Mosel and Pfalz, discovering differing philosophies, planting and winemaking experiments. 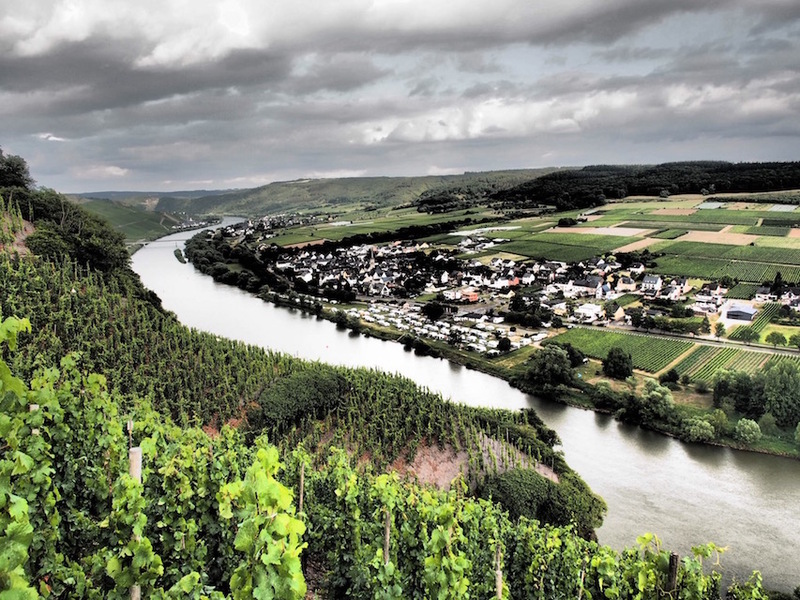 She also stumbles on a major gap in her wine knowledge about why the age of some vines in the Mosel are over 140 years old… in fact, we wonder if you knew…. One fact in particular on this trip made me blink hard and stare, eyes wide open, at the person who brought me the news: Dr Ernst Loosen. In the majority of the Mosel, vineyards remain untouched by phylloxera. The louse simply cannot survive in the dense slate soils. As the owner of a nose fiercely dedicated to hunting down wines made from complex plant material that I feel often produces better wines (whether pre-phylloxera or replanted with old clonal material) this came as a shock as I feel nobody really discusses this when talking about the Mosel. 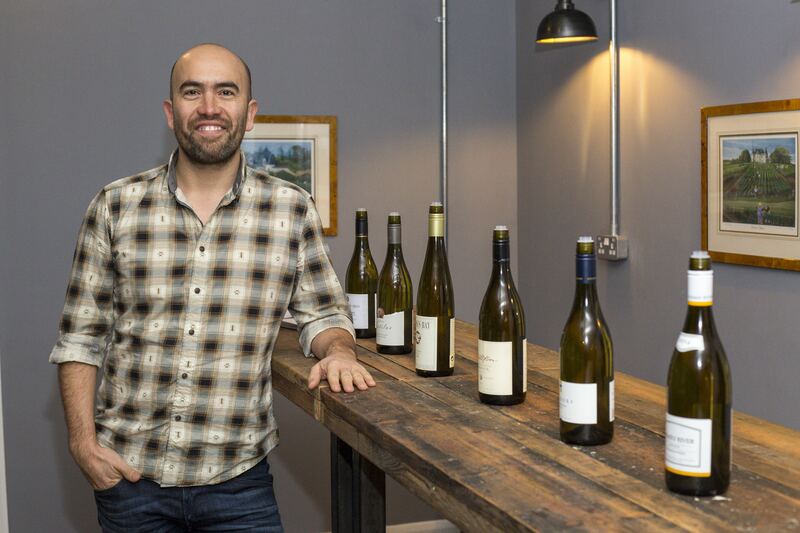 On hearing it, I asked a couple of London’s top sommeliers/buyers, who also didn’t know (and made me feel a bit better about my own newly-acquired knowledge). This makes a lot of sense. 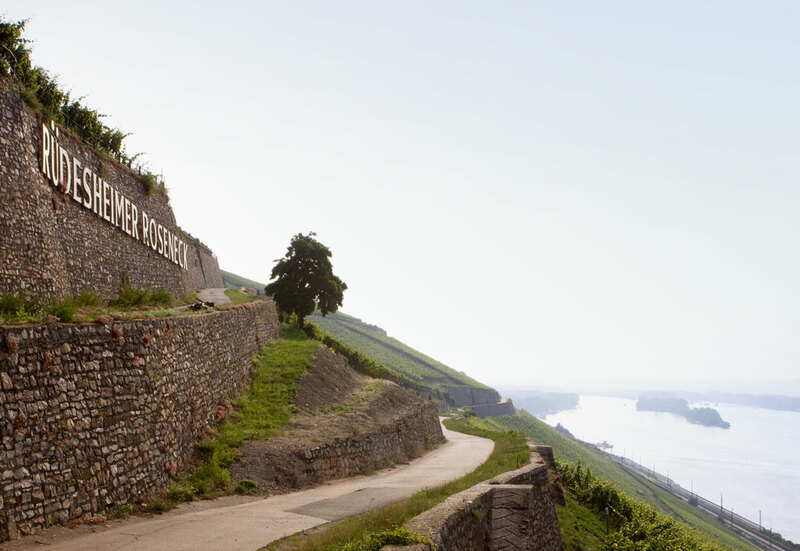 The Mosel is home to some of the finest Rieslings in the world, what some deem to be the finest white wines of the world and what were once the most expensive wines in the world, in the early 1900s. The fact that the vineyards did not need to be replanted at the end of the 19th Century means that we still have ancient plant material here, and thus the resultingly deeply complex wines. Many of Ernst Loosen’s vineyards are well over 100 years old, some reaching 140. Great care goes into replanting when necessary; one parcel of the Graacher vineyard, for example, was replanted in 1989 solely with cuttings from his very old vineyards. To ensure plant diversity, Loosen takes 10,000 cuttings every year. He ‘schools them out’ in a field of his, like a mini-nursery, to see which ones begin to bud. Usually this is only 4-6000 vines. These are then replanted ‘own-rooted’ to replace vines that have died, which amounts to approximately 0.3% of his vineyard surface every year. These unique old cuttings need time; when replanted the yields are very low and the vines take time to grow and to produce a crop (sometimes as much as six years), but adapt naturally to the fertility of the soil and thus always produce in balance. If growers plant onto American rootstock, they are granted subsidies, but, in Loosen’s mind, “it’s not about the subsidies, we love our original rootstocks.” I’m on Loosen’s page. Due to this slow development, Loosen declassifies his sites when young until they reach 30 years of age. The six major Dr. 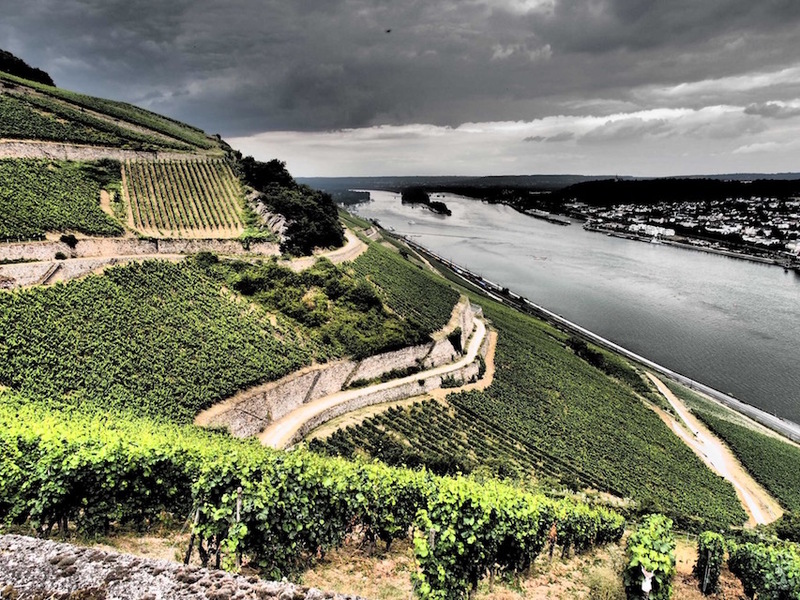 Loosen vineyards were designated as Erste Lage (grand cru), in the 1868 Prussian classification of Mosel vineyards. Wines from these vineyards are bottled with single-vineyard designations, some under GGs, whereas all others are labelled as estate wines. 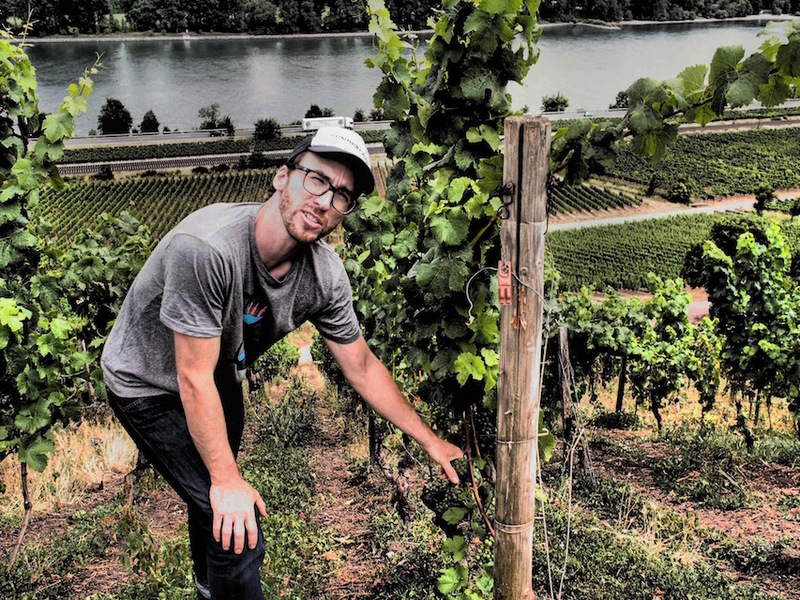 Loosen is also spearheading the reintroduction of dry, long-aged Rieslings, a project he has been working on since 2008. A customer of his brought a 1947 vintage made by his paternal grandfather for them to taste together, and it somewhat rejigged Loosen’s destiny. He had never before had a 60-year-old dry German wine, and was completely taken aback. He reinstated using indigenous yeasts, as his grandfather would have done, and began leaving the oldest vineyards on the lees for two or three years, without racking – “learning by doing,” as he mused. Absolutely no battonnage is carried out (“I hate battonage,”) and thus we see this moreish, delightful and so delicate leesy, slightly reductive character prevailing in the wines. Moving forward, Loosen wishes to age his dry wines for extended time on the lees; he currently has 2013 in barrel, for example, that he is aiming to bottle in 2021. He has read old books that state some wines should remain in barrel for 20-30 years. We discussed Nikolaihof, who follows similar principles in Austria’s Wachau. 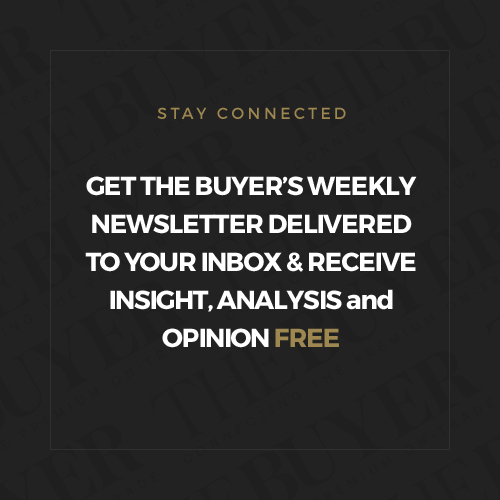 He currently has an astonishing 60,000 litres of older vintages in barrel that he doesn’t believe are quite ready yet – much to the headache of his team when new vintages come in, but all in the name of Fine Wine. 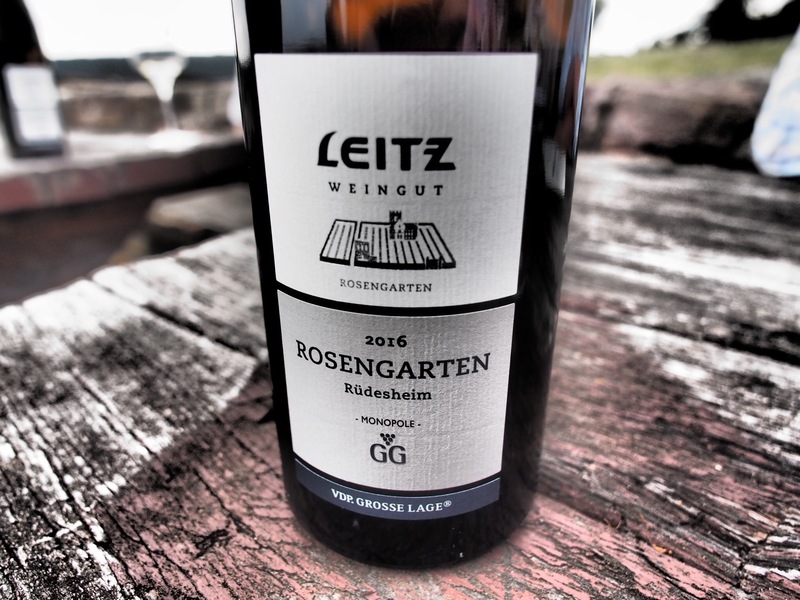 Loosen has brought this notion of fine single vineyard Rieslings to the Pfalz, through its Weingut Villa Wolf estate that is run by Patrick Möllendorf and Semi Gebauer. Here, the single vineyards of Belz (shell limestone) and Pechstein (black basalt soil) show great potential. The Belz gives zippy citrus notes with bright, tense mineral zing and a subtle floral character, together with a complex side of dried bay leaves and yeasty characteristics, where the Pechstein is more iron fisted with mineral water and dense stoniness. We tasted two library releases of 2012 that were wonderfully complex; these vineyards are ones to watch in this dry style. Another initiative is that Loosen has introduced acacia barrels at this estate. In terms of the experiments happening at Leitz, first and foremost it starts at its bottling line where they use H30 to clean bottles, thereby reducing the need for SO2. Sulphur levels are always kept low – around the 35g/hL mark. However, some experimentation did take place for their old vine Rosengarten Rüdesheim GG. It was in 2016 that they decided to carry out fermentation with indigenous yeasts and, in order to further support the fermentation, they added 100kg of fresh, whole berry grapes into the part of the fermentation that occurred in stainless steel, thereby creating intracellular fermentation. They didn’t control the temperature so, instead of the usual 16-17 degrees, the ferment reached 22-25. The results are outstanding; it was one of my standout wines of the trip. It has a beautiful, spine tingling energy and a yeasty, savoury, almond peel aspect. On the palate, there is such mouth coating, fine stoniness. It is clear, bright and poised; clean and zingy but with such depth, texture and length; layers upon layers of both fruit and savoury components. Schmidt believes this style of winemaking holds great potential. Climate change is threatening style here in certain vintages – acid goes down and alcohol up (13.5% in 2017). With it, however, comes other opportunities, like growing Spätburgunder, which Leitz vinifies with Becker in their cellar (for fear of malolactic tribes building up). This would only have been a pipe dream 20 years ago, yet in 2008 it became a reality. Johannes Hasselbach has gradually taken over the reins at Gunderloch. This sees a subtle change in style; mainly led by a decision to pick earlier. 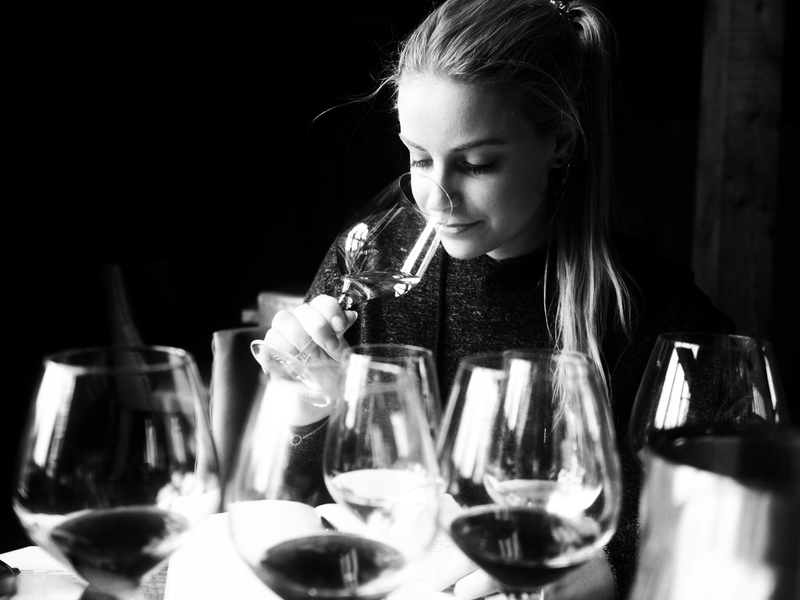 “Five minutes before the wine reaches 12 degrees, that gives the best representation of the origin. Wines need to represent the place and the time, if there is too much alcohol this can be masked.” This means picking dates is crucial; even one or two days later means must weight can rise by 2-3%. He explains that with climate change, the vegetation is also changing, and so he picks perhaps five to six days earlier than his father would, to ensure lower alcohol and also because he prefers more tension and elegance in the wine. It is a personal style; both father and son would have wanted to extract the true personality of Rothenberg for example, but with this also comes personal interpretation; something intrinsically linked to our notion of terroir, as human beings. 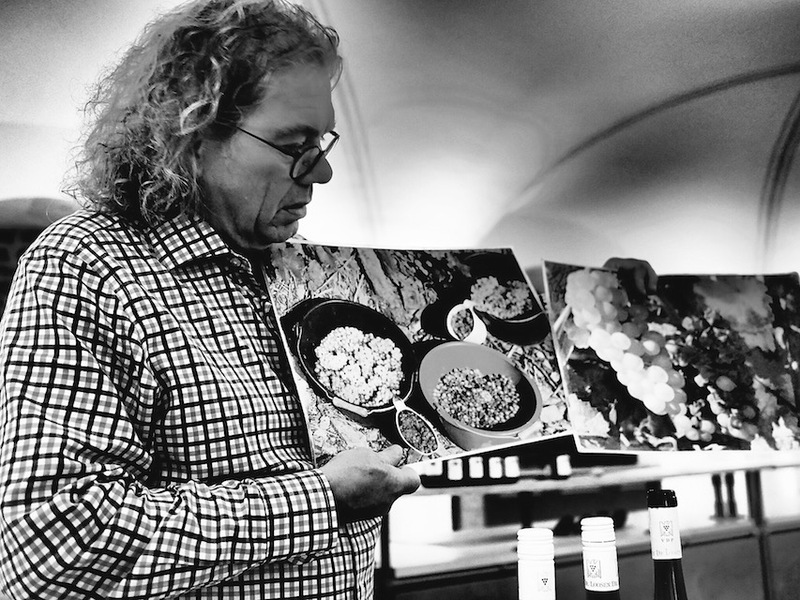 Als Wars ein Stuck von mir was Hasselbach’s first own wine; “It was my catalyst and playground label – it’s never forbidden to ask questions after all,” he comments with a grin. It was important for Hasselbach to start with a blank piece of paper, and to experiment. His techniques are now also being brought to the other wines. In addition, wines are left for longer on the lees, as skin contact can be harsher, therefore leaving the wine on the lees helps to merge the structure of the wine. Only indigenous yeasts are used and no fining agents. 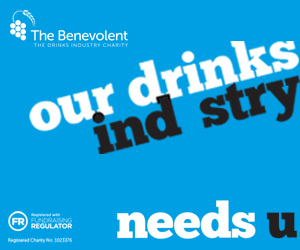 “We want to limit our influence in the cellar. The most important work is in the vineyards, the cellar work should happen almost as on autopilot.” Hasselbach’s father was always a vineyard worker and taught him this focus in the vineyards. He is not a fan of machines in the cellar but in the vineyards, they are incredibly helpful for the change towards organics. Hasselbach has also been introducing other methods to the vineyards. 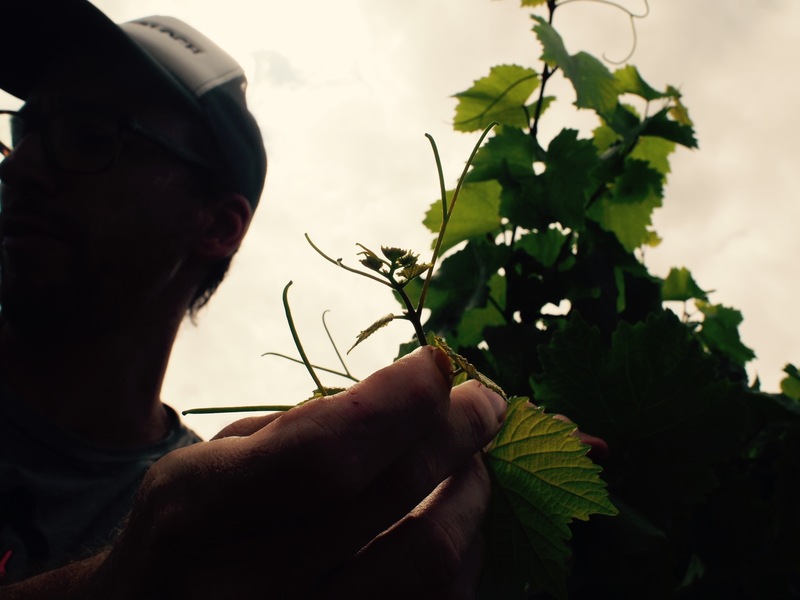 For example, there is a theory that by picking the light, new green leaves you slow down the whole viticulture process – the old leaves provide shade but do not photosynthesise. He is also introducing elements of biodynamic work. Grassing through the vineyards protects the topsoil and ensures the soil does not dry out (the red slate soil here can easily dry). This creates humidity and competitive energy. Orange oil is applied as a sort of ‘glue’ for other preparations, horsetail has proved effective in keeping the vines healthy and baking soda has worked effectively against fungal disease. 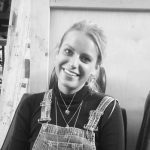 Christina Rasmussen travelled across Germany with Awin Barratt Siegel to get under the skin of Riesling and Pinot Noir. 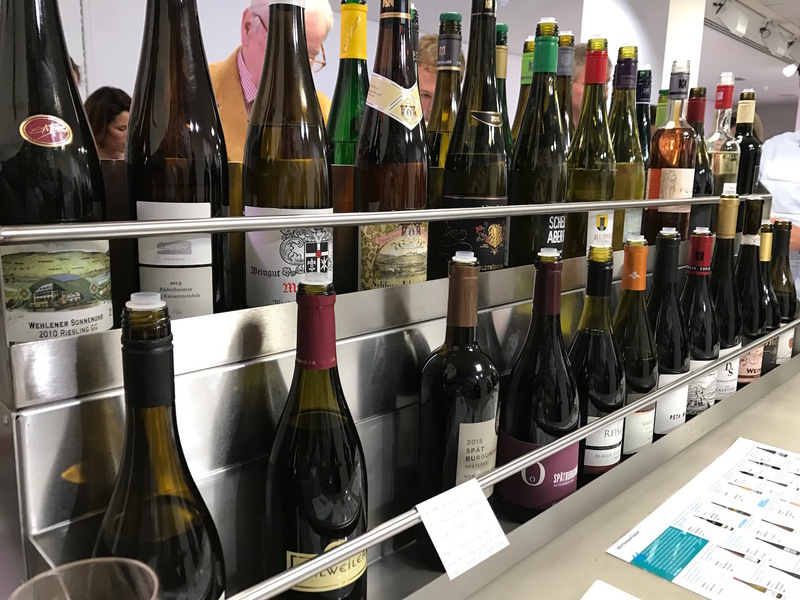 Ernie, Gunderloch, and Leitz the cutting edge of German viticulture and winemaking in 2018? I think the writer should have strayed off the jaded old wine route and gone down a few bywaysto to d out what’s really happening. How do machines in the vineyard help with organic production. Throwing that line out with no explanation left me curious.